As the final northbound thru-hiker summits Katahdin and hiking season comes to an end, there is a quietness that falls over the AT. It’s worth it to wait a few more weeks before packing away the hiking boots, though, as fall is one of the best times to get out and hike your favorite section of the trail. The Appalachian Mountains are home to thousands of plant species, which make for an incredibly diverse range of fall color on each section of the trail. Autumn on the AT turns the green tunnel into a vibrant display of orange hues, and transforms overlooks into endless seas of golden leaves. All of this, paired with the crisp autumn air, makes for a completely different experience than hiking in the summer months. 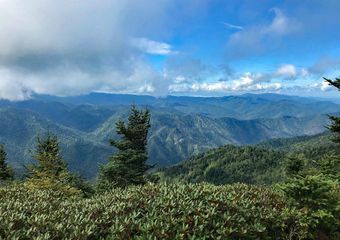 Section Overview: Credited with having one of the longest fall foliage seasons in the East, Great Smoky Mountains National Park (GSMNP) annually dazzles visitors with its extensive autumn display. As many as 100 different trees species call the park home, which brings variety to the vivid fall colors found on the mountainsides. The diversity of trees paired with quick changes in elevation allows visitors to find a part of the park in peak color at almost anytime during the seven-week autumn season. As if the variety of color wasn’t enough, the park’s high peaks often drop their leaves and receive snowfall by the middle of October, making for beautiful mountain views that showcase both the fall and winter seasons. Also be sure to look away from the tree tops and admire the large array of wildflowers that cover the forest floor at the same time the leaves are changing. Section Overview: Stretching from Damascus to Daleville, the trail through Southern Virginia is known for its smooth trails and notorious green tunnel. Come October, this tunnel transforms into a beautiful display of yellow and orange leaves, and is the best place in the Blue Ridge Mountains to see fall color. 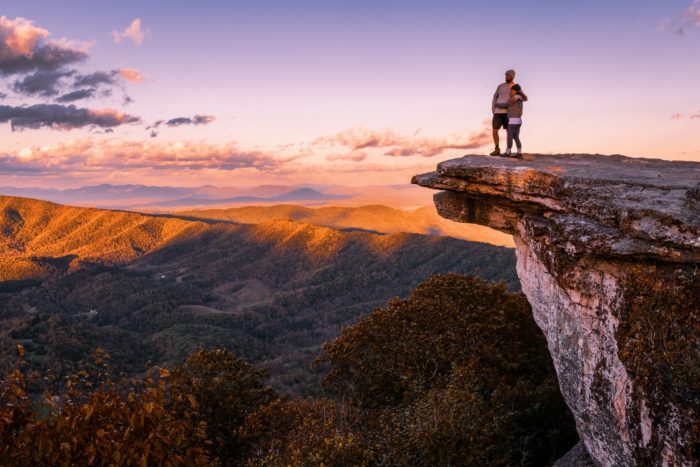 Visiting this section in the autumn gives hikers the chance to see iconic AT landmarks (such as Grayson Highlands and McAfee Knob), at a truly unique time of year. Not only will there be fewer crowds than the summer months, but you will be able to see these famous landscapes decked out in the beauty of fall. 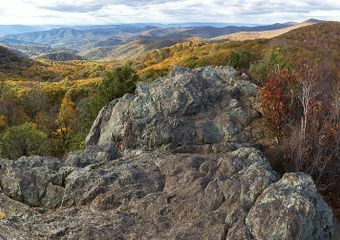 Section Overview: Winding its way along roughly the same route as Skyline Drive, the trail through Shenandoah National Park (SNP) is relatively smooth and full of overlooks. Add in the famous SNP foliage and these already beautiful views become jaw-dropping. The park is known for the diverse color it receives each year, and can consequently get crowded during peak foliage weekend. 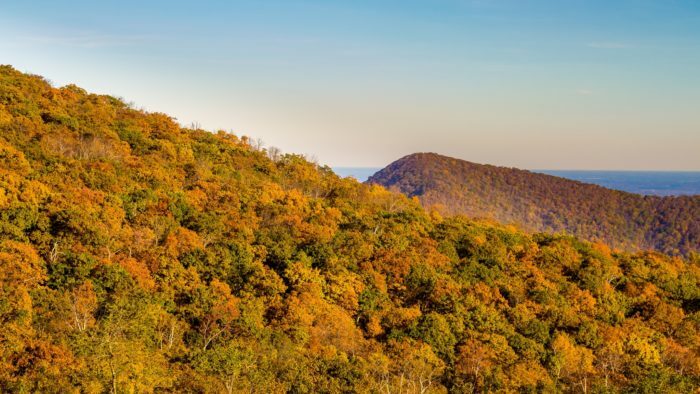 Autumn hikes along the AT will offer a glimpse at the thousands of multicolored trees that cover both the surrounding mountains and Shenandoah Valley. Section Overview: If you’re looking to enjoy fall foliage in the Empire State, avoid the crowds in the northern mountain ranges and head on over to the AT. The trail through New York becomes completely saturated with color this time of year, and has views that rival the best of the Adirondack and Catskill mountains. 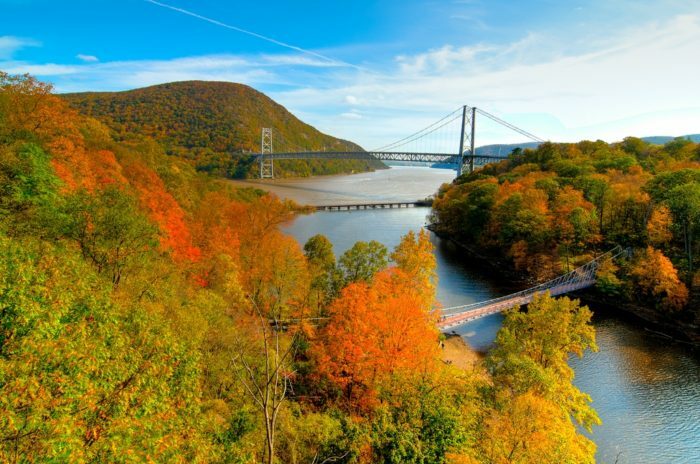 The state is beautiful year round, but really begins to shine in the autumn as the rocky mountain tops and views of the Hudson River contrast against the vivid foliage. Section Overview: New England is often considered one of the best places in the country to see fall foliage and there is no better spot to soak it in than Vermont. 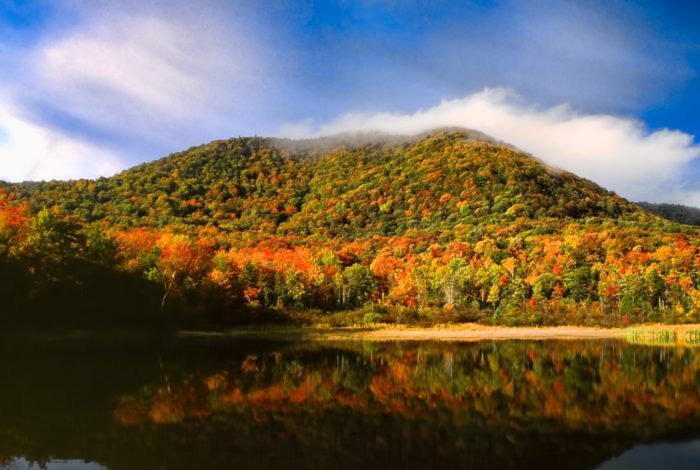 The state’s section of the Appalachian Trail traverses tGreen Mountain National Forest, which transforms into a sea of red and orange leaves come October. Although Vermont is known for challenging climbs, the effort is often rewarded with panoramic views that stretch for miles. Add a little fall color to these views, and the sights become nothing short of breathtaking. Did I miss your favorite spot to see fall foliage along the Appalachian Trail? Let me know where I should check out next in the comments below! 1) The 90 miles of Vermont and New Hampshire between the Green Mountains and White Mountains at lower elevations. There are more hardwoods here than in the Green Mountains or White Mountains, so you see more color, and weather is mellower. The Vermont portion traverses beautiful pastoral landscapes, passing through working farmland. In New Hampshire, there are extraordinary views from Holt’s Ledge, Smarts Mountain and Mt. Cube, with vistas of a world that look a giant Oriental rug spread out below you. Plus, this forgotten area is quite uncrowded, except for those NH peaks on a weekend. The Vermont section east (trail north) of the Green Mountains is actually a bit more rugged than the Long Trail portion. The New Hampshire portion west of the White Mountains gives you a taste of rock scrambling, with climbs that are some of the steepest on the entire A.T. south of the Whites (and possibly the first set of metal rungs bolted into rock), but nothing compared to the challenge of the White Mountains themselves or southern Maine. 2) All of Massachusetts and Connecticut. The colors here are spectacular, and the terrain a mix of gentle, not-so-gentle, and a few short, steep scrambles. Anyone hiking in fall should be aware that hunting season may be underway, and should wear blaze (fluorescent) orange and take other precautions. 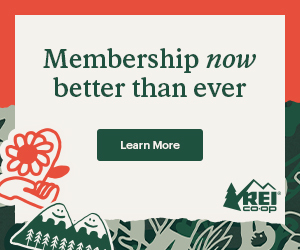 More info is available on the Appalachian Trail Conservancy site at http://www.appalachiantrail.org/hunting.